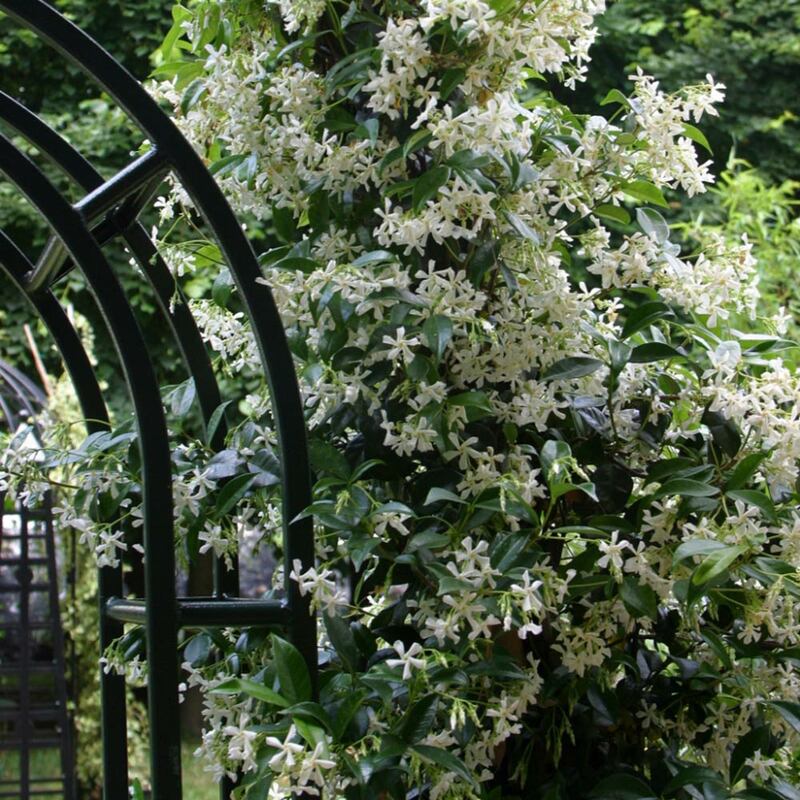 A highly fragrant, vigorous climber that produces clusters of beautiful, star shaped pure white flowers from June throughout the summer months, which turn to cream with age. 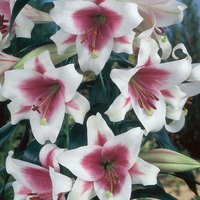 It has dark green leaves which turn bronze in winter. 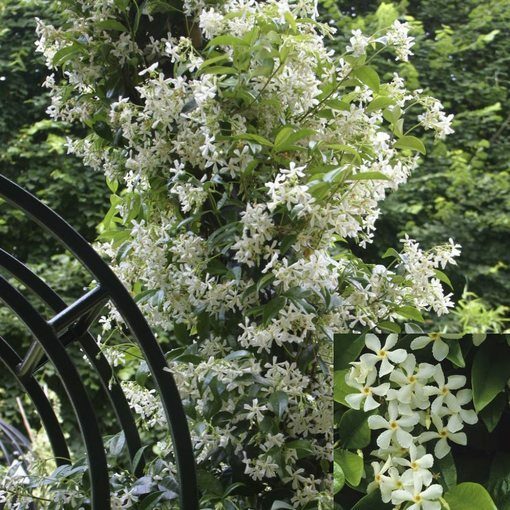 It is best to grow Trachelospermum jasminoides against a warm, sunny wall. 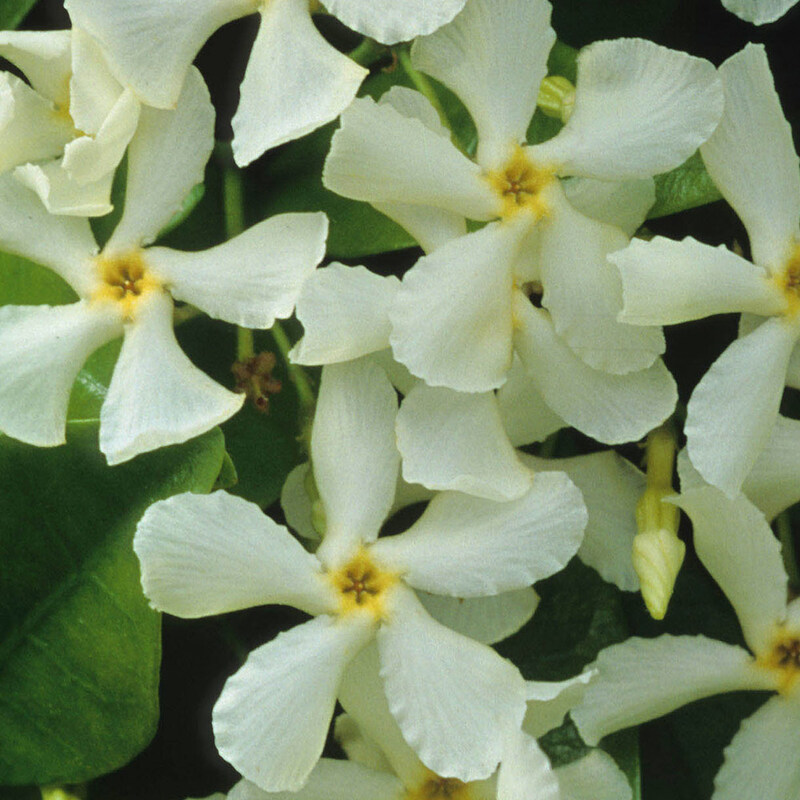 Can climb to 8m, however prune after flowering to size required. 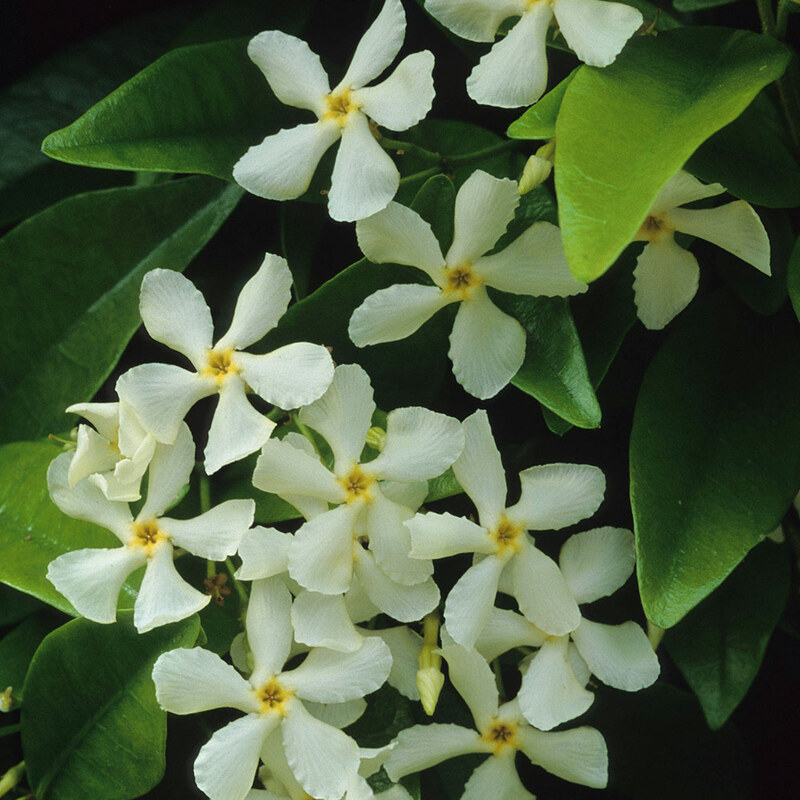 This Jasmine is a stunning addition, for a wonderful display throughout the summer months perfuming the air with its sweet fragrance. 9cm pot plants supplied. Pruning Prune hard to keep at a manageable height. Prune hard to keep at a manageable height. 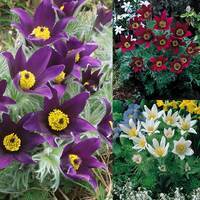 Plant in fertile, well drained soil in either full sun or partial shade. 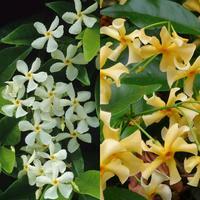 A new multipurpose evergreen shrub which looks good when used as a climbing plant against a wall or a fence. It is a vigorous climber that will add plenty of character to the Summer garden. 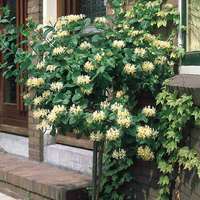 Can be kept at a manageable height if pruned annually. Ideally located in a south facing position of full sun.